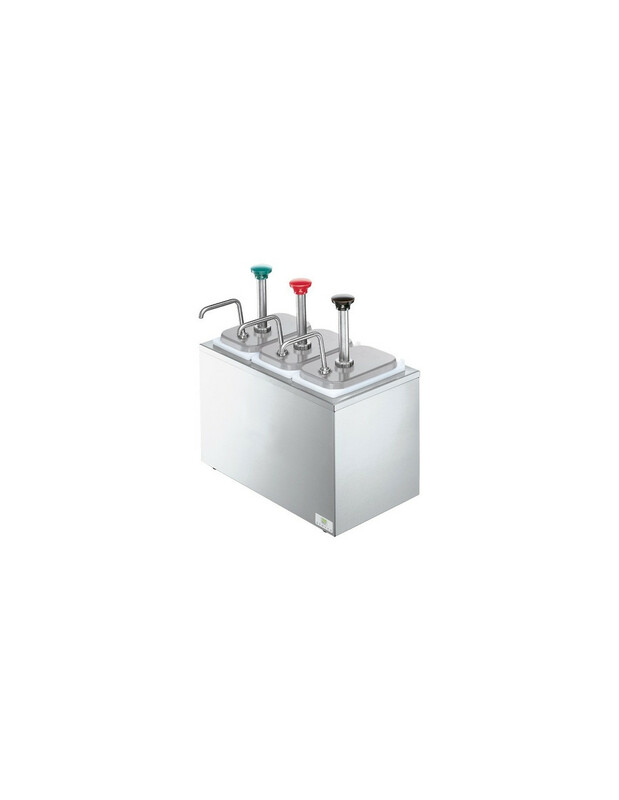 SR-3 NON-INSULATED RAIL, COMBO, thin product dispenser. 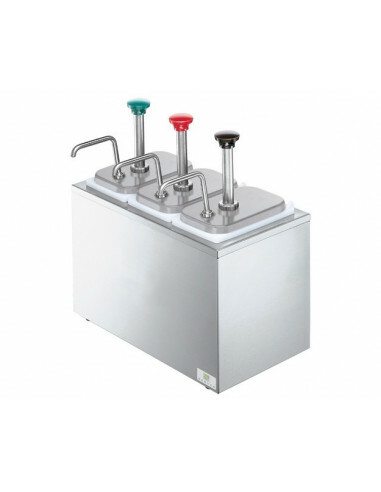 Thin product dispenser, stainless steel rail comes complete with: (3) stainless steel pumps and deep plastic fountain jars. Dispense 1-1/4 oz (37 ml) per stroke or reduce yield in 1/8 oz (3.7 ml) increments with provided collars, NSF.